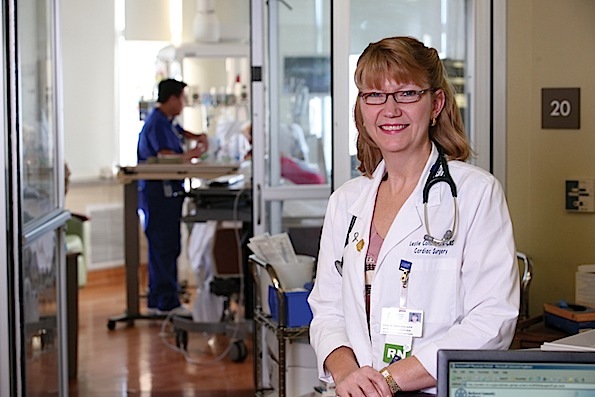 Leslie Collins, RN, APN – Cardiothoracic Surgery. NCH celebrates Nurses Week early with daily events. As a prestigious Magnet hospital, Northwest Community in Arlington Heights is one of the best hospitals in the country for nursing care. NCH’s outstanding nurses will be honored Monday, May 2, through Friday, May 6, as the hospital gets a jump on National Nurses Week and holds daily events to thank its nursing team. “Our nurses go above and beyond what’s generally expected by hospital patients, so they are a special group worth celebrating,” said Dale Beatty, executive vice president of hospital operations, and chief nursing officer. Blessing of the Hands, administered by NCH’s Spiritual Care Services. Sweet Treat Day, with every nurse getting a cupcake personally delivered to them. A Wellness Day for nurses, with a hospital conference room converted into a spa-like environment for back massages, hand massages, hair styling, cholesterol screenings, blood pressure checks, and tips from makeup consultants. Thank-You Day, with every nurse receiving a special gift revealed that day. Picnic in the Park, with food and fun offered to all nurses in a themed conference room. Nurses are the primary source of help and support for hospital patients at the most vulnerable times in their lives. NCH’s Magnet status ranks the hospital among the top 6 percent in the country for nursing excellence. Magnet hospitals have better patient outcomes, lower mortality rates, increased patient satisfaction, shorter lengths of stay, higher nurse-to-patient ratios, and greater success at attracting the best healthcare professionals. “Patient care is our highest priority, and I’m proud to say that our community receives the best nursing care available anywhere,” Beatty said. National Nurses Week is typically celebrated each year from May 6 – known as National Nurses Day – through May 12, the birthday of Florence Nightingale, the founder of modern nursing. NCH is recognizing its nurses earlier this time around to avoid conflicting with National Hospital Week, which is May 8-14 this year.